I love creating and crafting. I always hoped if I had a kid he or she would be into making, too. It's why I had my king doodling as soon as he was able to hold things with his hands. Know what? He LOVES it! We're always either building things out of blocks and/or boxes or we're drawing, coloring, painting, etc. Whatever we're in the mood to when the urge to play and create comes up. Sometimes, I steer a bit. Like a canvas I had him do the background on (he went to crazy on that) and like on this project. I said to him we were going to do something and started prepping the paper roll tubes. He loves painting and although he helped paint them white, he then insisted on using only markers to decorate them. But for some reason, when I decided to make these paper roll tube binoculars, guess what I didn't have a lot of? So, being the resourceful person that I am, I grabbed one of the Christmas wrapping paper rolls and gently removed the core which I then cut to size (which is why the binoculars are different sizes). Make a slit on each paper roll tub towards one of the ends. If you don't have a cutting blade, carefully use your scissors. I recommend a cutting blade because using scissors may bend the paper roll tube. Slip one end of the ribbon into a slit and knot it. Slip the other end into the second slit. Place the binoculars and ribbon over your child's head and measure out how long it should so that he or she can easily slip it on and off. Once measured, grasp the unknotted ribbon end with your hand and pull the binoculars off. Knot and cut the remaining ribbon. trim ends from both knots. You can also use paper roll tubes as megaphones, circle and heart stamps, or even as organizers (putting them in a bin or drawer). If you're child is maybe too old for these, I included three other cool paper roll tube crafts he or she may enjoy. Personally? 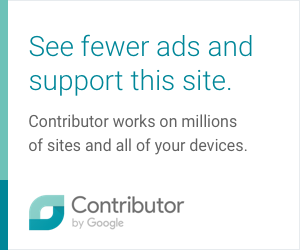 I think I'll try the gnome ones in the future. I love Gnomes. 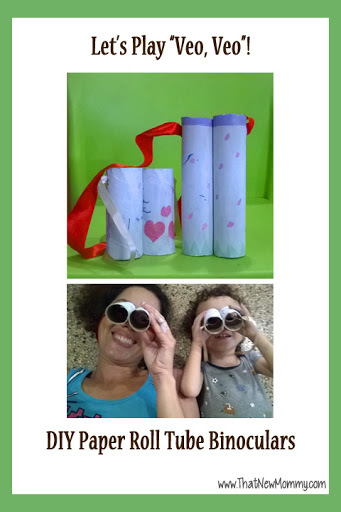 0 comments on "Toddler Craft - Paper Roll Tube Binoculars"